In Canada, the discussion of the separation of a franchisor from its franchisees’ local employment decisions has surfaced in a number of recent cases. Among these, some cases have questioned which of the two entities should share legal liability with regard to any human rights complaints, wrongful dismissals, union claims and/or relevant employment standards issues. Nevertheless, even when franchisees make employment decisions the franchisor does not agree with, the franchisor will generally not step in to reverse these decisions, for fear that any such actions, whether direct or indirect, could have the unintended consequence of creating a joint employer relationship. In recent years, McDonald’s became a lightning rod for joint employer issues in the U.S.
One of the most commonly cited advantages of doing business though a franchise system’s structure is the distinct line such a model establishes between the obligations of the franchisor and the franchisee with regard to each franchise’s employees. While the franchisor will initially provide relevant training to the franchisee, in alignment with its intellectual property (IP) licensing, the corporate leadership team typically intends to remain unassociated with the day-to-day operations of each franchised location. By doing so, the franchisor does not manage the employees of a franchisee, does not enter a contractual business relationship with those employees and therefore is not considered their employer. The degree of separation between the franchisor and a franchisee’s employees takes away some potentially desirable elements of control for the franchisor, but more than makes up for this by reducing the burden of employment requirements, exposure to potential liability and the chance of a franchisee’s employees becoming unionized. set the prices of products or services sold by its franchisees and their employees. provide training directly to the franchisees’ employees. co-ordinate or schedule the franchisees’ employees. co-ordinate the payment of, set the wages of or run incentive programs for the franchisees’ employees. require franchisees to obtain the franchisor’s approval before hiring employees or sub-contractors. assist with the billing and invoicing processes used by the franchisees’ employees. provide guidance, tools or assistance to the franchisees’ employees in any other way. If one or more of the above links were present in a franchise system, then the franchisor could be exposed to the legal risk of a court deeming them a joint employer. This would mean effectively losing the benefits of the franchise business model they wished to enjoy. The advantages of the traditional model set out above, however, may not always hold water. Litigation in both Canada and the U.S. deeming franchisors to be joint employers, along with recent debates about increases to minimum wage rates, has sparked concern for franchisors, in that they may be held liable for the manner in which their franchisees treat their employees. Some cases dealing with the potential joint employer status of franchisors that have been litigated in the U.S. might provide some guidance as to how the issue would be approached in a Canadian legal context. 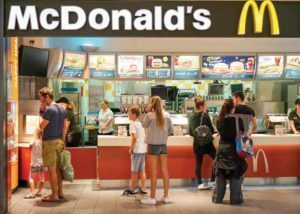 In one such case, employees of franchised McDonald’s quick-service restaurants (QSRs) filed unfair labour charges against their employers, i.e. the restaurants’ franchisees, but also asserted claims against the franchisor. While considering that case, the U.S. National Labor Relations Board (NLRB) also came to a decision in 2015 with respect to a waste-management company, Browning-Ferris Industries (BFI). It found joint employment could even exist in situations where corporations merely had “indirect or unexercised control” over employees. On the basis of that test, NLRB decided McDonald’s, too, had exercised indirect control over the employees in question. In 2017, however, NLRB overturned its previous decision and stated franchisors are immune to the types of indirect employment claims that had been asserted in the McDonald’s case. To be deemed a joint employer, NLRB determined, an entity must exercise direct control over workers. To the relief of franchisors across the U.S., this finding was more consistent with the traditional franchising model. 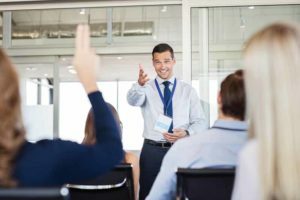 Corporate training is one example of how a franchisor could establish a direct link with a franchisee’s employees. While the issue of whether or not franchisors are joint employers has not yet been fully resolved in Canadian case law, case decisions in the U.S. strongly suggest franchisors that only indirectly deal with employment issues will not be legally considered joint employers of each franchisee’s employees. Indeed, various labour relations boards and human rights tribunals have been asked not to treat franchisors and franchisees as related employers. In Ontario, the provincial ministry of labour’s Changing Workplaces Review interim report, released on July 27, 2016, almost saw special advisors to the provincial government recommend defining franchisors and franchisees as joint employers of the franchisees’ employees; such recommendations were to be achieved through various proposed amendments to Ontario’s Labour Relations Act and Employment Standards Act, with their proponents citing a need to better protect workers while supporting business in the modern economy. A number of franchisors and other industry players argued such changes, as proposed in the interim report, were unnecessary and costly and, moreover, threatened the franchise business model in its entirety. To the great relief of the province’s franchising sector, the proposed joint employer provisions specifically for franchisors were not included in the government’s final legislative changes. 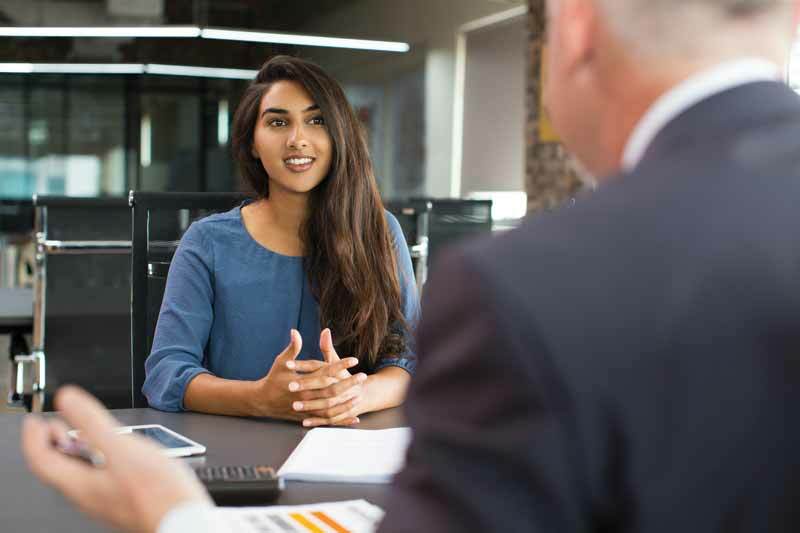 As was mentioned previously, however, franchisors who wish to ‘call the shots’ regarding wages and benefits for their franchisees’ employees do indeed risk becoming considered joint employers. It may sometimes be confusing to discern how franchisors are legally able to mandate many practices for their franchisees—including the sourcing and use of specific supplies, products and services—but cannot implement system-wide policies regarding how those franchisees’ employees are treated. The difference often lies between (a) what is critically important to the franchise system and the goodwill of the franchisor’s trademarks and (b) what is simply a labour decision for the individual franchisee to make. It is not an easy distinction. Franchisors who are trying to strike a balance, by actively preserving the goodwill for and positive reputation of their system while not exercising direct control over each and every granular employment decision by their franchisees, must always beware the potential consequences of blurring the line. Peter Snell is a partner and franchise lawyer at the Vancouver offices of Gowling WLG (Canada) LLP. For more information, please contact him via e-mail at peter.snell@gowlingwlg.com.